Donate to help Richard with race entry fees, supply costs and travel expenses. Anything will be greatly appreciated! For your donation you will receive a bumper sticker to show our appreciation! For as long as I can remember my dad has been running across the world it seems, or, at the very least, Georgia. I would be visiting my grandparents in North Georgia with my brothers and sisters while he would be gone for days running. I became used to the fact that Dad would travel to my grandparents’ with us all and then we might not see him again for half, whole, or even several days. That was our life…Dad’s on a run again. I like it though. I was convinced (still am actually) that he could run forever. I think when his time comes, he will simply run off into the distance and never return, nothing tragic, nothing dramatic, just disappear…. I don’t really like to think about that, so on a more uplifting note. I have included a map of Georgia with the counties colored in which he has run across. No cheating! There is a county or a few that are not colored in that he has run across but it was just the short length. According to Dad, if it’s not the full length of the county then it has not been included. 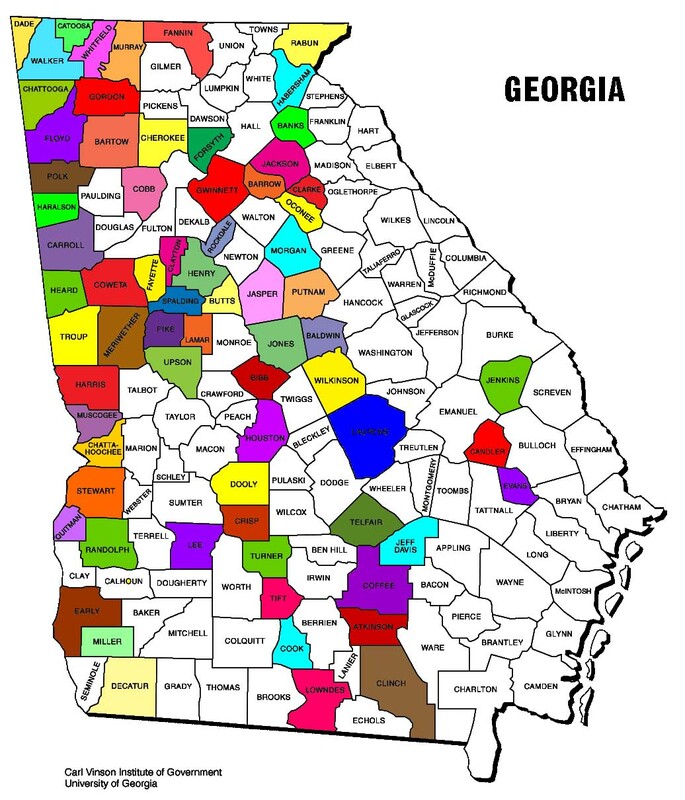 Georgia has 159 counties. He has run through 70 of then and has 89 left to go. Who wants to wake up at 3am and take him to the beginning of the next county he plans to run?